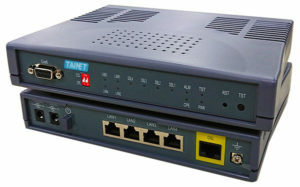 Product Release Archives - Tainet Communication System Corp. Written by on October 16, 2018 . Posted in News, Product Release. TAINET Communication System is announcing new G.SHDSL.bis EFM/ATM designed for an advanced capability. Featuring built in K.21 surge protection. It is ideal for Community (police/fire/education), utility factory and business Ethernet services, etc.